Just a few days after the launch of the Xiaomi Mi 6X, Xiaomi is now preparing to launch it as an Android One smartphone in India. 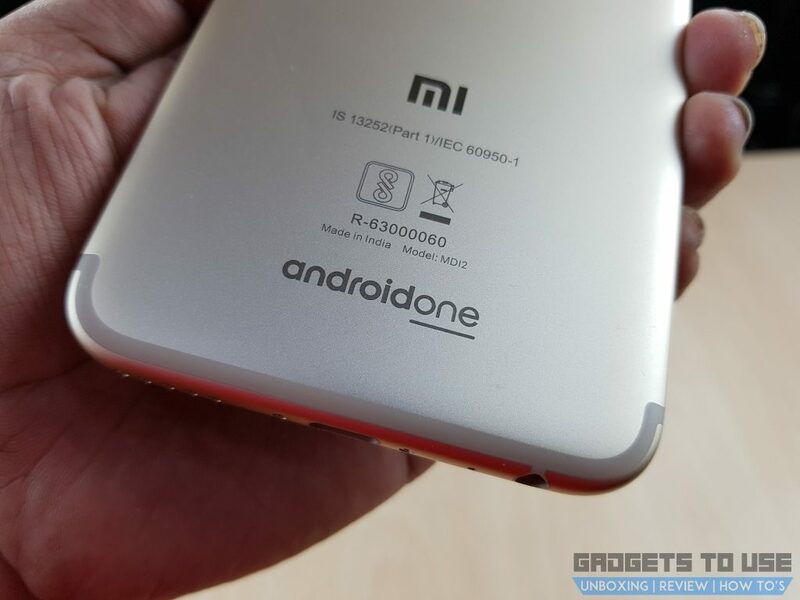 As last year’s Mi 5X was launched as the Mi A1 which was Xiaomi’s first Android One smartphone, the Mi 6X is expected to be launched as the Mi A2 Android One smartphone. Xiaomi had launched the Mi 6X in China earlier last week. The device has a 5.99-inch full HD+ IPS LCD panel, a Qualcomm Snapdragon 660 chipset, dual rear 20MP+12MP cameras, and a single 20MP front camera. It comes in 3 different RAM and storage variants and runs on Android 8.1 Oreo. As expected, the Xiaomi Mi A2 will indeed be a re-branded Xiaomi Mi 6X. Also, just like the last year’s Mi A1, it will be a mid-range device in India priced around Rs. 15,000. Here are some good reasons why you should wait for this upcoming mid-range Mi A2. The new Mi A2 will sport the same metal unibody design as Mi A1, but it will come with a refreshed design, especially the 18:9 display. Moreover, the dual rear cameras are now placed in a vertical setup. Further, the display has been increased from 5.5-inch with 16:9 aspect ratio on the Mi A1 to a 5.99-inch display with 18:9 ratio in the same body. Moreover, the Mi A1 has a full HD display with 1920 x 1080 pixels resolution while the Mi A2 will come with a better FHD+ resolution of 1080 x 2160 pixels. 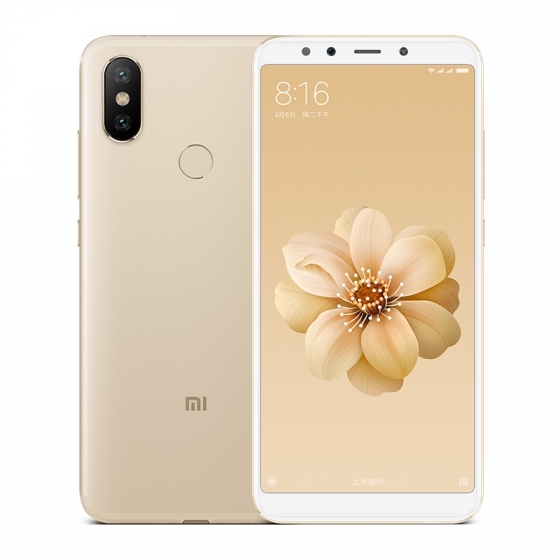 The Xiaomi Mi 6X runs on Android 8.1 Oreo, so the Xiaomi Mi A2 will also run the latest Android, however, it will be the second Android One phone by the company. This means the Mi A2 will come with stock Android without MIUI on top. There are a lot of people who like Xiaomi’s MIUI ROM, but for those who would prefer to run stock Android, Mi A2 is the phone for them. Also, being an Android One phone, the Mi A2 will receive faster Android updates for a longer period of time. The Mi A2 will be powered by a Qualcomm Snapdragon 660 octa-core chipset which offers the added power of four Kryo 260 cores clocked at 1.8GHz. The Snapdragon 660 is a mid-range chipset that includes several components from Qualcomm’s 800-series flagship chipsets. It even borrows the X12 LTE modem (600Mpbs down/ 150 Mbps up) which debuted in last year’s Snapdragon 820/821 chipsets. The octa-core chipset with 4 Kryo 260 cores and 4 Cortex-A53 cores, is based on the power-efficient 14nm process. It will also include support for Neural Processing Engine for machine learning. This chipset is better than any processor available in this segment. Further, for memory and storage the device comes in three variants – 4GB + 64GB, 6GB + 64GB and 6GB + 128GB. Coming to the camera department, compared to its predecessor, the Mi A2 has got better cameras. 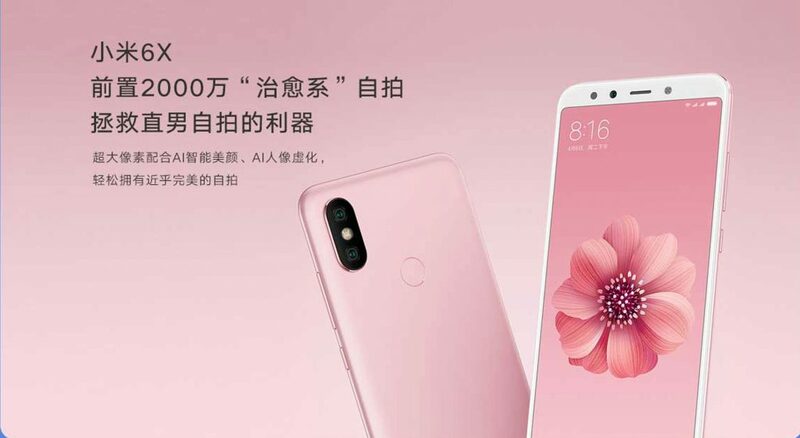 The Xiaomi Mi A2 will feature a dual rear camera setup at the back with a 12MP primary camera with f/1.75 aperture and a 20MP secondary camera with Sony IMX376 sensor. Up front, the device comes with a 20MP selfie camera with f/1.75 aperture and soft LED flash, which is a considerable upgrade from the 5MP front cam on Mi A1. If the Xiaomi Mi A2 is also priced the same as its predecessor, the pricing could be around Rs. 15,000. But looking at other Snapdragon 660 powered devices, it would kill the competition in Rs. 15,000 price segments. To recall, HMD Global announced the Nokia 7 Plus which also comes with Snapdragon 660 chipset, dual cameras, and Android One. Interestingly, Nokia 7 Plus is priced at Rs. 25,999 in India. If we talk about other features, Xiaomi Mi 6X is powered by a 3,010mAh battery and comes with Quick Charge 3.0 support. Connectivity options on the phone include 4G VoLTE, Wi-Fi 802.11 ac, Bluetooth 5, GPS and a USB Type-C port. Xiaomi has decided to ditch the 3.5mm audio jack and comes with a USB Type-C port.